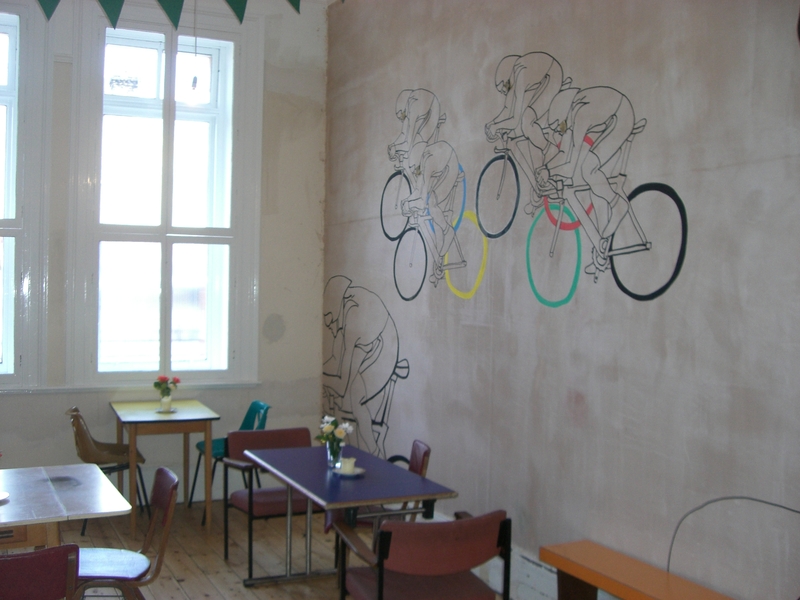 We’ve not been to Leyton for a while but we heard it had been spruced up and a pop-up pub for the games was now open. So we set off with a pint promised at the end of our journey. 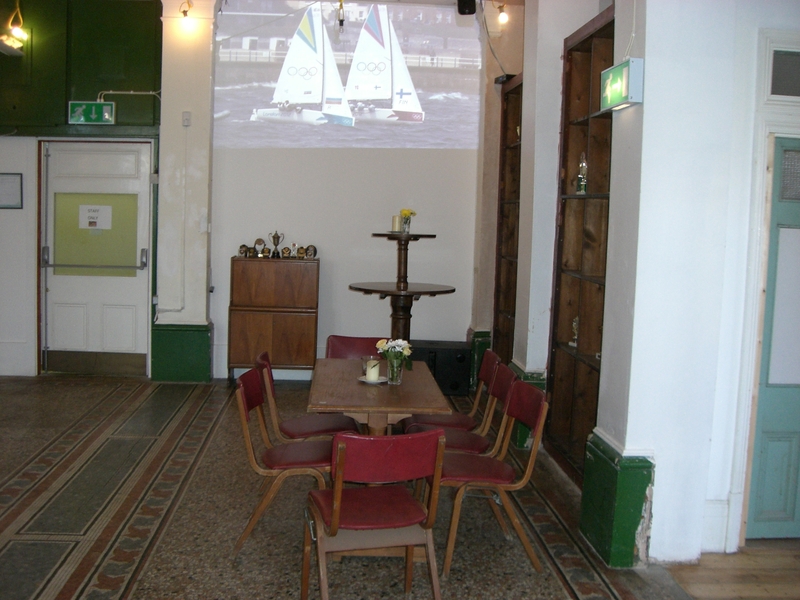 Leyton Technical Pop-Up Pub is open for the duration of the games in the magnificent Grade II listed former Leyton Municipal Offices on Leyton High Street. Just a stone’s throw from the Olympic Park in Stratford, this is a brilliant pop-up drinking venue brought to Leyton by Antic pubs, who run the Red Lion in Leytonstone and the Clapton Hart. They serve a range of great craft ales from local London breweries including amber ales, IPAs and porter. There are two screens following the games every day and food-wise there are salt beef or salmon and cream cheese bagels for the peckish. 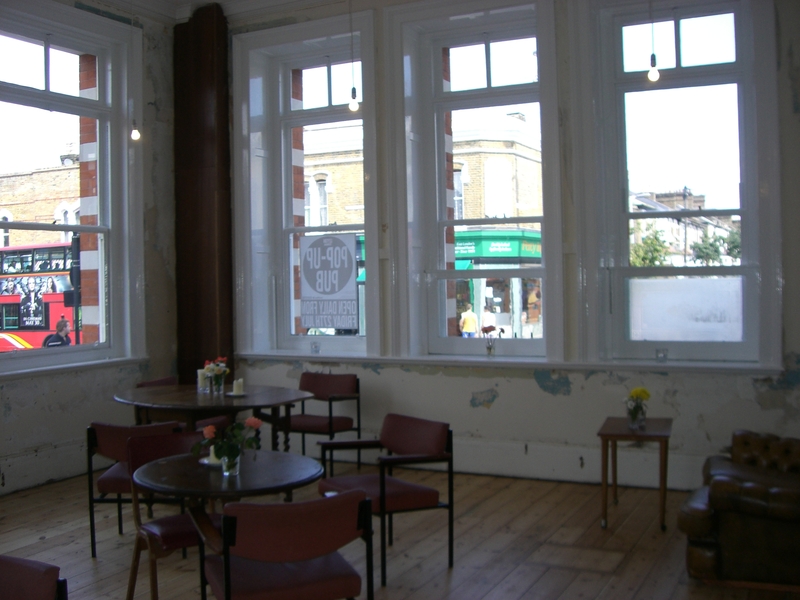 This entry was posted in Pubs, Restaurants in E17 and tagged Antic, Leyton, Leyton Technical, Pop-Up Pub. Bookmark the permalink.